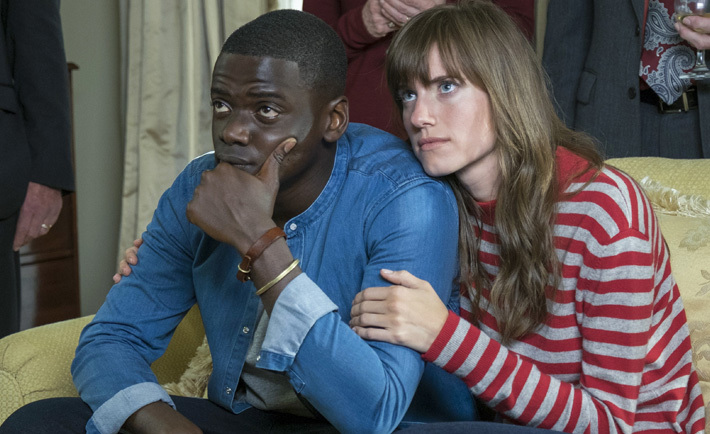 Jordan Peele’s film ‘Get Out’ is a must-see. For everyone. If you haven’t seen it yet, please do. Whether you love it, hate it, or don’t understand it, we should all be talking about it together and listening to each other about what it means. Of course, most of what everyone’s talking about in regards to the film is the term “racial horror” and Peele’s vision of the layers of racism in America. Although there is much more dialogue now about racism and its poisonous effects, there is still so much to be said and done about the continued racist undertones (and unfortunately overtones) in our world. Though plenty of us are horrified at the things our older relatives say that we would never dare utter, there are still things that come out of our mouths that are just as damaging. We are not immune to the attitudes and beliefs of those who have come before us. Though we may not be overtly racist, we can hold to latent racism or even benevolent prejudice. It is only by listening to people of color, acknowledging and owning our privilege, and striving to root out our own racism that we can begin to put an end to a problem that has plagued humanity for thousands of years. Peele’s film is not without its humor, of course. It’s a humor that points out the discrepancy between the way we act and what we say, what our body language says versus the thoughts we might not always speak aloud. Of course, the humor gets less and less humorous as we realize that this isn’t only the way things used to be, but the way things still are today. There are still people who believe that skin tone and birthplace are the best way to judge a person’s character. There are people who still believe that someone’s heritage spells out their future. There are still people who choose to believe that other people are “less than” because of physical characteristics. Why? What evidence do we have that this is the case? We have none. It is simply that we have carried, over centuries, a firmly held idea that there are “more than” and “less than” individuals based solely on the color of our skin. It’s even more terrifying once we look at how things can change in families from one generation to the next or even from sibling to sibling. All our experiences shape us into different creatures, and who is to say that everyone turns out the same? How can one family member be overtly racist while others seem to be unaware of their benevolent prejudices? This begs the question, who can one trust? How far are we willing to trust? Are we doomed to continue the cycles of violence and racism that pervade our history? Is there a way to break them, move past them, and begin to heal from. ‘Get Out’ is a powerful film about what it is like to be regarded as other, to be silenced, to be used for other peoples’ gain. It is a reminder of what people of color have suffered at the hands of white people, and a warning about what could happen if we do not remember our history.